Grilling corn on the cob can be confusing -- do you leave the husks on or take them off? Do you place them on the grill raw, or pre-cook them first? How long should they cook? I TOTALLY understand any confusion you might be feeling at this moment. I mean, we all LOVE to eat this tasty and fun grain, but how in the heck should we tackle the cooking of it? Well, first and foremost you DID buy organic corn, didn't you? Just checkin'. It's one of those foods you really must buy organic because most (if not all) crops of corn grown these days contain GMO's! Learn more here. There's also a hybrid of both of these techniques in which the husks remain on the corn but are pulled down and tied back so they don't char, exposing the kernels to the grill so they brown. 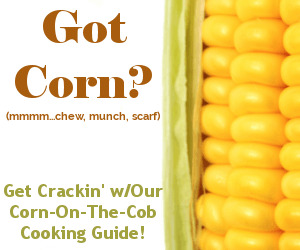 Option 1: Completely remove the husks and silk as discussed in our Corn Cooking Guide. 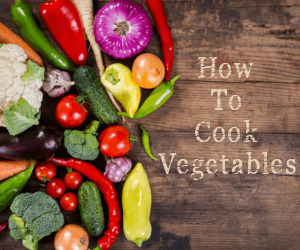 Prepare a spread for the corn -- which can be made with a base of oil (such as extra-virgin olive oil) or vegan buttery spread (such as organic Earth Balance). 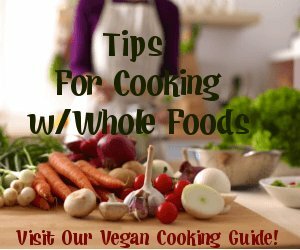 Add any herbs, spices or favorite flavors you'd like to add to this spread using the Corn Vegan Flavor Matches to guide you. Evenly spread over the ears of corn, wrap in foil, and place on grill. Poke holes all over the foil to allow any steam to escape. Cook, turning occasionally, until a fork poked through the foil yields tender corn (about 20-30 minutes). Unwrap the corn and check for doneness. If it's not as tender as you'd like, wrap the corn back up in the foil and grill for another 5 minutes. Option 2: Pull the husks back but DO NOT remove from the ear. Remove the silk and smear corn with your favorite spread, as we mentioned above. Cover ears with the husks and tie very tightly in 3 places along the ear with kitchen twine or string. Now, completely submerge the corn in a large pan of water for 1-3 hours. Be sure the husks get water logged, which will prevent them from going up in flames. Place husks directly on the grill and cook, turning occasionally. The husks WILL scorch, but they shouldn't catch on fire. Your corn is done when it begins to steam and the corn is tender (20-30 minutes). Option 3: Pull back the husks but DO NOT remove from the ear. Gather the husks at the bottom of the ear and tie with kitchen twine or a string to make a pretty little handle. This "corn handle" makes a fun presentation. Remove the silks, and smear all over the corn with your favorite spread, as explained in Option 1. Next, place the exposed corn directly on the grill, but allow the "corn handles" to hang off the grill. Alternatively, place foil directly on the grill under the "corn handles" so the husks don't burn, but remember to keep the corn kernels directly on the grill so they can cook. Turn occasionally and brush with remaining spread when it seems right. Pierce kernels with a fork to check for doneness. Total cooking time should take about 10 minutes, and your kernels will be deliciously browned. Eat the corn as-is, or cut the kernels off the cob. Enjoy!